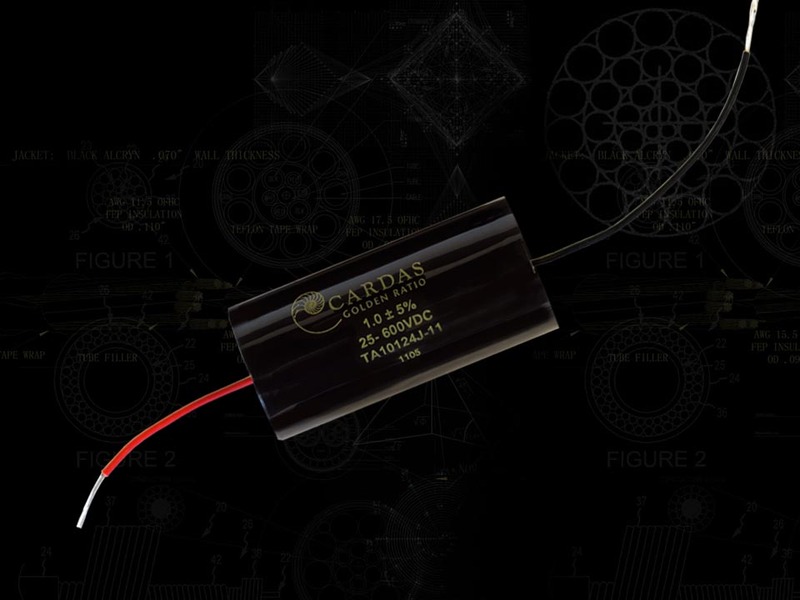 Cardas Golden Ratio Capacitors feature two Golden Proportioned dielectric layers which produces "Retained Energy Scaling". The amount and rate of energy released is split between the two dielectric receptacles in proportion to their constants. This Teflon composite dielectric eliminates the resonant signature of monolithic dielectric and provides constrained layer damping. Golden Ratio construction yields a smoother, more musical capacitor, without a sacrifice in resolution. Tolerance is 5%. *NOTICE: Due to recent issues, Cardas capacitor prices are in a constant state of flux. Cardas is not currently publishing prices on their capacitors. Quotes from Cardas are only good for 30 days. This is the reason for the wild price swing of certain values.